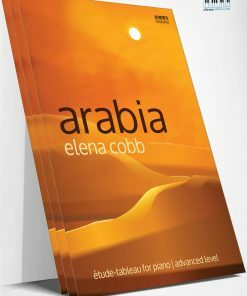 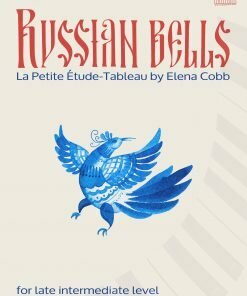 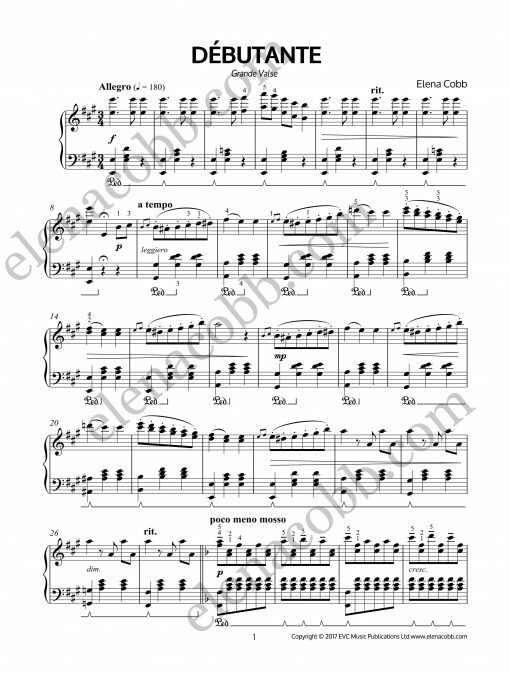 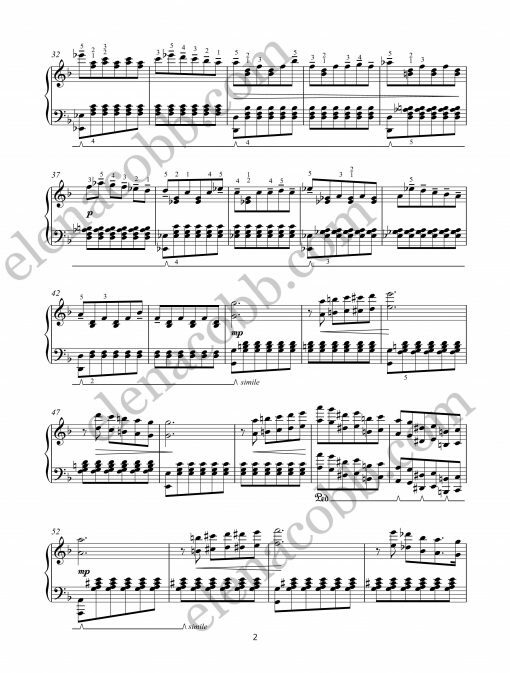 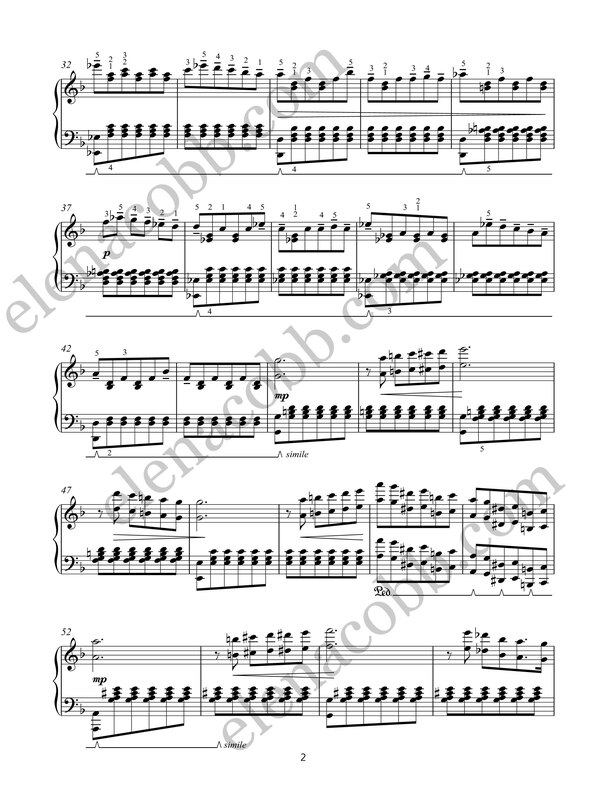 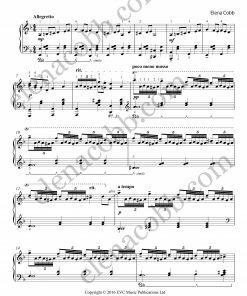 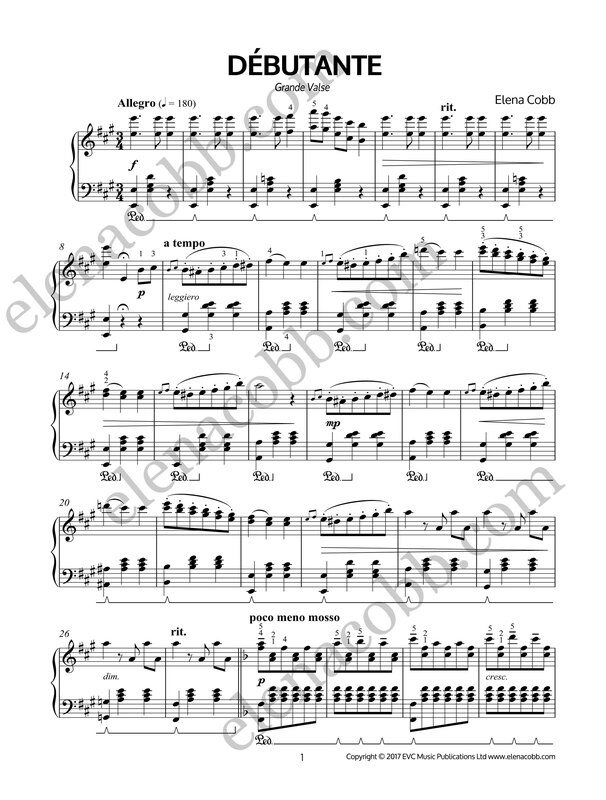 Débutante Grande Valse by Elena Cobb is written in a traditional for the Romantic waltz form and will appeal to piano players at the advanced level or Gr 7-8 ABRSM. 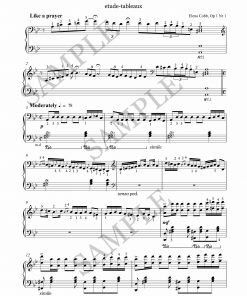 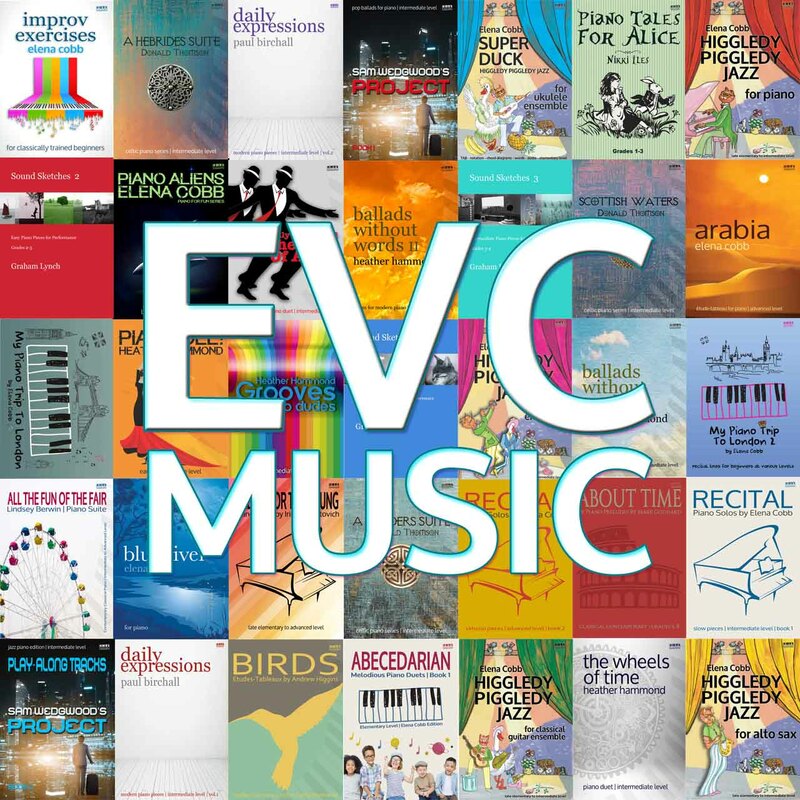 It offers a variety of technical challenges and will be a very attractive piece to include in the recital performance programme or A Level Music exam. 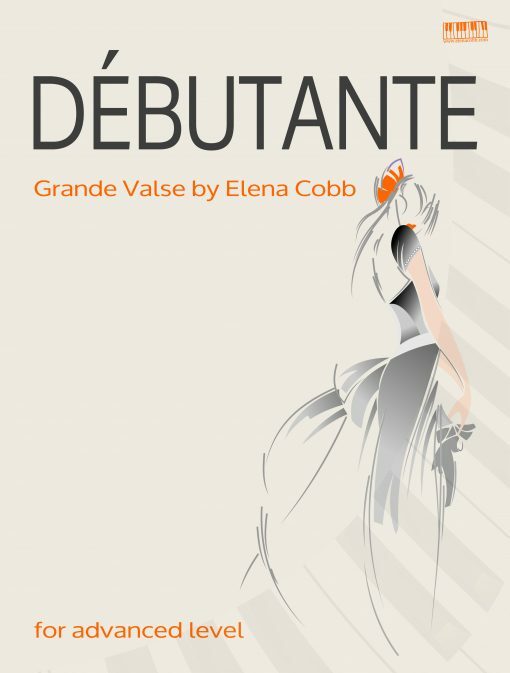 A Débutante is a girl or young woman of an aristocratic or upper-class family who has reached maturity and, as a new adult, comes out into society at a formal “debut”.